This home is newly remodeled and move in ready! All new paint; Exterior and interior. All new appliances, new carpet. Wonderful wood fence, offering complete privacy. A large patio deck all ready for BBQ s. A large shed all ready for the toys! 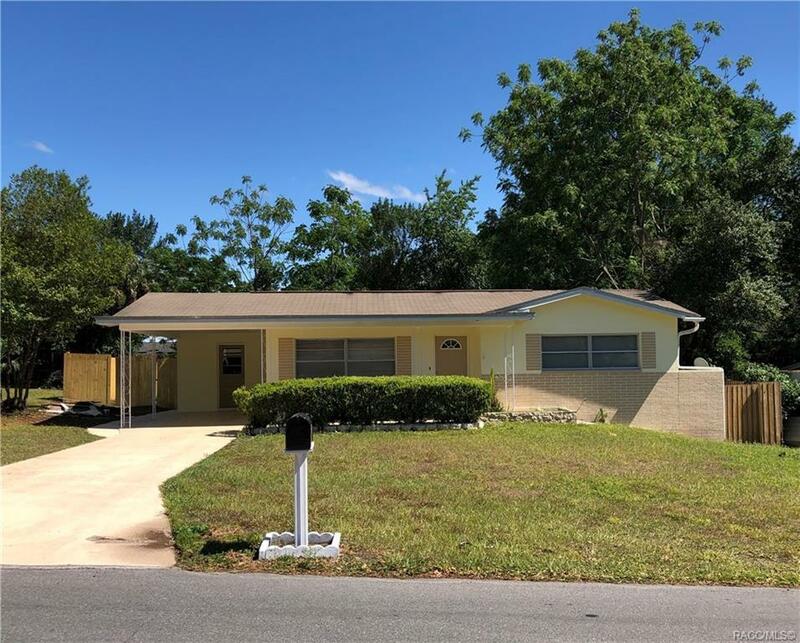 The home is centrally located throughout Citrus County with quick access shopping and restaurants. Directions: From 491, Left On Beverly Hill Blvd, Left On Harrison, Home On Right.